Visit www.tennesseeabrasive.com to access company, products, and services information, along with news and event updates, without telling us who you are or revealing any personal information. The only data we collect and store during normal website usage is typical web server log data. Examples of this type of data are: the name of your Internet service provider, the site that referred you to us, any pages you request, and the time and date of those requests etc. We use this information to generate statistics and measure site activity to benefit www.tennesseeabrasive.com users. 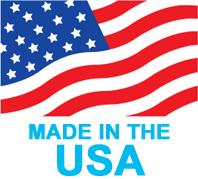 This same information may be shared with third parties in order to provide these services or to analyze, store, or aggregate the information. It may also be shared with other third parties, working with us to improve the services of Tennessee Abrasive, Inc. or this website. There are instances where Tennessee Abrasive, Inc. requests personally identifiable information to provide site visitors with a service. This information, such as name, mailing address, email address, and type of request, is collected and stored in a manner appropriate to the nature of the request, as determined by Tennessee Abrasive, Inc., to fulfill your needs. To reiterate, all information you provide is used to improve the services offered by Tennessee Abrasive, Inc.. This information may also be provided to our agencies for use on behalf of Tennessee Abrasive, Inc. in accordance with our proscribed privacy statement. However, it is never provided or sold to any other company for that company's independent use. During the course of your visit, you may move to other Tennessee Abrasive, Inc. websites. In addition, this site may provide links to third party sites not controlled by Tennessee Abrasive, Inc., such as those belonging to our many vendors or clients. It is recommended that you check the specific privacy statements of any site before providing any personally identifiable information. To use our Internet services, such as ROI tools or Contact Form, we also require a certain amount of personally identifying information. That information may be in the form of a name, account number, zip code, or personal identification number. 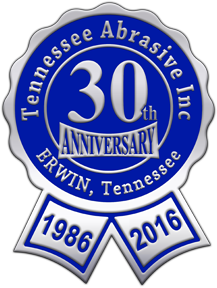 We use this information to verify that you are a Tennessee Abrasive, Inc. customer or meet the criteria required to process your request. We may also use this information to enhance our understanding of you and improve our services. Website users may decide to send Tennessee Abrasive, Inc. personally identifying information via email. We will use this information for the purpose identified in the email message and to enhance our understanding of you in order to improve our services to you. A revised privacy statement will only apply to data collected subsequent to its effective date on this version of the website. Any revisions will be posted at least 7 days prior to its effective date. New versions of this website may have a new privacy statement effective with its launch. This site is provided by Tennessee Abrasive, Inc. and may be used for informational purposes only. By using this site or downloading materials from this site, you agree to abide by the terms and conditions, set forth in this agreement. If you do not agree to abide by these terms and conditions, do not use this site or download materials from this site. Subject to your continued compliance with the terms and conditions set forth in this agreement, Tennessee Abrasive, Inc. grants you a non-exclusive, non-transferable, limited right to access, use, display, and listen to this site and the information, images, sounds, and text ("materials") thereon. You agree not to interrupt or attempt to interrupt the operation of the site in any way. Tennessee Abrasive, Inc. authorizes you to view and download the materials at this site only for your personal, non-commercial use. This authorization is not a transfer of title in the materials and copies of the materials and is subject to the following restrictions: 1) you must retain, on all copies of the materials downloaded, all copyright and other proprietary notices contained in the materials; 2) you may not modify the materials in any way or reproduce or publicly display, perform, distribute, or otherwise use them for any public or commercial purpose; 3) you must not transfer the materials to any other person unless you give them notice of, and they agree to accept, the obligations arising under these terms and conditions of use. This site, including all materials, is protected by worldwide copyright laws and treaty provisions, whether or not a copyright notice is present on the materials. You agree to comply with all copyright laws worldwide in your use of this site and to prevent any unauthorized copying of the materials. Except as expressly provided herein, Tennessee Abrasive, Inc. does not grant any express or implied right to you under any patents, trademarks, or copyrights.